A house removal work is one of the most tedious and long processes, if not done with professionally trained people. For only the experts know how to carry out the whole process of removal work in the most efficient way of taking into consideration about the time and number of goods to be moved. Hiring an expert house removal company in town would be a wiser decision for making this whole process stress-free. If you are in need of relocating to another city, you will need to transfer all the goods in the house to your new residence in the new city. And, this is not an easy process to pack everything from the smallest of the item to huge and heavy ones such as furniture. When you hire a team of house removal specialists in town, they will first visit your location to assess the amount of goods to be moved along with categorising them from fragile ones to sturdy ones so that they can be packed separately so as to ensure that no damage is inflicted to the goods during the entire house removal process and settling into the new address. Moreover, this will help them give you the most accurate rate quote for the number of goods to be transferred. There are various house removal companies in Edinburgh, however, you should only hire the experts who can perform the whole work without damaging your goods and in the shortest span of time. It is important that they stick to the deadline of delivering your goods to the new address. This will help you to settle down and start getting on with your regular life at the earliest. How to Choose the Best Removal Company in Town? You should go by the previous assignment completed by the house removal company. You can also go by the customer feedback and know if they are happy with the services offered by them. 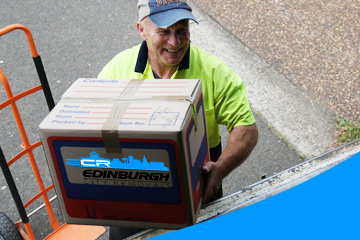 Edinburgh City Removals (ECR) is one such removal agency based in Edinburgh who hasmade a lot of name in the market for the super-fast and professional services they have been offering to all their clients. Moreover, they are preferred by their clients for the best rate quotes they offer for small to heavy duty removal works. Contact them and put in your query. You will get a call back at the earliest to discuss your requirement.